I was born in Denmark but left in 1990 with the intention of only being gone for a few months however I never went back. I started my journey in London but ultimately ended up living in Spain, Ireland, Germany, China, Japan and then Australia. Initially my travel was with work, the first move to London being for a job as a concierge in a five-star hotel which turned into a role as the head concierge, as a young kid in London it was good fun and also a good learning ground for understanding customer service. I started my own business in London in the early 1990’s and from there my career moves have not so much been planned but have come out of opportunities that have presented themselves. I ended up spending 10 years with a large US based firm as head of North Asia, it was one of the largest furniture manufacturers in the world with a turnover of over $2b and over 1500 employees, Haworth. A new head of the Asian Pacific region had started and he wanted to inject the firm with new managers and leaders. At that time I was in Shanghai as part of a business school exchange program. I had decided that I needed to go through some form of schooling given that I had never been to university. I did a full-time MBA in Dublin, as part of my thesis I was talked into going to a business school in Shanghai called CEIBS (China Europe International Business School) who had just started an exchange program with the school in Dublin that I had attended. It involved doing 4 hours a day of business in China over a four week program, the exchange program being run by the director who was from Belgium himself but had spent many years in China. He was one of the first people in China to own a Ferrari. There were only 15 people in the course and after the 4 weeks of the program, I never ended up leaving China. Before starting the program I actually had a business plan with a friend from Canada to go over to Canada and start a retail furniture company, we had all the plans and funding. I essentially called him up and told him that I wasn’t going to be leaving China; thankfully we are still friends today. Within a month of having being at that school I was receiving all of these opportunities that people of my age and experience would not usually have. That’s when I took on the role as head of North Asia for Haworth; it was a matter of being in the right place at the right time. After 10 years with Haworth, across 5 different roles including managing director here in Australia and being head of the Asian Pacific. My last role saw me move back to Europe as the Head of the Europe division, in a very corporate role managing a division that had 3000 employees, a $400m turnover and 7 factories. It was also a matter of politics and managing the relationships between the different countries in Europe who often did not want to work together. In 2010 I went out and started my own business, a furniture business. Initially it was a joint venture with the biggest player in office furniture at the time called Init. I had 49.9% of the shareholding but unfortunately they have 50.1%, which they needed as they were listed on the Vienna Stock Exchange. The business was Asia Pacific focused, including Australia. I went out and hired a lot of people whom t I had met throughout my career, ending up with 7 offices and approximately 100 staff. Within 18 months we had built the business to a point where it was doing from $0 turnover to about $30m, the growth was rapid. Unfortunately the Austrian partner came into financial difficulties in Austria, a company which had been founded in 1782. I had become very close to the director and the board, but basically they were all removed overnight by the largest bank in Austria who took over all of their shares. Suddenly my joint venture partner was no longer comprised of people who I knew or people who knew me or my background. I will never forget that I was in Hong Kong at the time when I received a video conference call where I was confronted by two bankers telling me that they were now my venture partners. They essentially told me that they wanted to restructure and that they no longer wanted it to run as a joint venture. For 10 months I tried everything possible to try and continue it as a joint venture. I tried to by the Asian business, I tried to buy the global business, the Australian business but it just did not succeed. It was a very tough time because all of the entities basically collapsed, they stopped delivery of all the products so that we had no products, we had contracts with major companies such as Nokia and the Bank of America that we couldn’t honour. Eventually the whole thing collapsed. I then had to work out what was next for me; it took a couple of months before I came up with the idea for Work Club. I initially started in Sydney, which has now been operating for 3 years. It was a new business and a new area for me but it was an area I was passionate about. Most people look at my background and assume it is because I am coming from a furniture or space background which is not the whole theory behind it; it also comes from my passion for diversity. Part of what I did at Hawood was head up research and think tanks, I have always been around progressive thinkers globally and hearing about what is going to happen next. I saw one of the first co-working spaces in New York in 2005 but I did not understand why it was so industry specific. I have a theory around Leonardo da Vinci; he lived in Florence at a time when it was the centre of the world in terms of new ideas, new cultures and new inventions. He was very careful at the time about who he surrounded himself with and the diversity that existed within his network, he felt diversity liberated the qualities of his works. I think if you fast forward to the relevance today, all the disruptions and all the changes happening across all industries, if you work in isolation to some extent you are less likely to find answers or solutions. If you extend yourself beyond your tried networks you expose yourself to new ideas or possible solutions, at the very least you learn of new perspectives. In Work Club we have an education program to ensure that diversity exists, in Sydney there are 50 different industries which are represented. To me the diversity piece is central for the future of work for business as it is almost a permission to play in the future. It is part of our role to support that diversity and to provide a platform for people from different industries to connect and create encounters. The physical space of Work Club is not your typical office environment. Every piece of furniture has been sourced from small factories in Europe or locally made here in Australia, if it’s made from timber then it is raw untreated timber, if it is leather then it is raw untreated leather. The textures and the smells in the space represent and reflect the love and care that the creator of each piece has put into making it. This gives it a very homey feel, everything has practical use and isn’t just for show. It is also a fine balance of not over styling or overfilling the space, it needs to be spacious. Another business which I have started, Florence Guild arose from Work Club itself. It came from my attempt to bring together the diversity of Work Club on a weekly basis. The idea was to place a person on a stool, free from powerpoint and technology, nothing but a person passionate about a selected theme. Early on much of the focus was on the concepts of innovation or robotics; they would start a conversation with a room limited to 60 people who represented the diversity of Work Club. We would then try to draw the wisdom from these people from all walks of life, positive friction actually being encouraged. It grew from being just for members; they then started asking to bring guests who in turn did not want to be part of Work Club but wanted to be members of Florence Guild alone. After initial reluctance, we decided why not and allowed Florence Guild, named after the theory of da Vinci, to become its own entity separate from Work Club. It is one level of the interactions that Work Club offers, however Work Club also offers round table discussions and one-on-one interactions for those more intimate conversations. We have had some great speakers now, I cannot even pick a favourite. This year we have a new narrative centred around the concept of anti-disciplinary which I see as the new direction of business around the world. A shift from the traditional industry specific top-down model to something which sees multiple disciplines collaborating and working across these disciplines on specific topics or challenges. It becomes a hybrid approach, of which technology plays a significant part, giving birth to new disciplines which have not existed in the past. It then becomes a question for organisations as to how to shape themselves in order to embrace this emerging anti-disciplinary approach in which the traditional top-down structure will no longer be able to exist. You need to structure your organisation in this environment in such a way that your frontline staff care, if you do not adjust to this merging approach then as a player you will simply disappear. The need to adjust is urgent. I am really glad that I travelled as extensively as I did. When I was younger I was worried that I did not have the backing of a university degree however travelling around the globe meant that I had a direct understanding and knowledge of a number of cultures. I worked in South America, Europe, Asia, the Middle East and Australia. Africa is the only place that I haven’t worked. For 10 or 11 years I also worked in leading teams, from this I learnt first-hand that the more diverse those teams were the better the outcomes. I found that often when you brought in people who were not from defined disciplines, you would get new ideas. When you are educated in one discipline, it becomes hard to look at the discipline from the outside or with an external perspective. I am disciplined in terms of sleep, exercise and diet. I try to ensure that no matter how much I have going on that I get my 7-8 hours of sleep a night. I make sure that I exercise everyday, usually training in the morning. As much as going to the gym or going for a run is a physical thing, it is also a mental thing in that it allows me to clear my mind. I also watch what I eat, particularly through Monday to Friday. I think of it as power a machine, if I give my body what it needs so that I can produce the best outcomes. I don’t have a specific quote but I subscribe to the Seth Godin blog as I think there are some great quotes there. Sometimes I will read a specific piece, I will save it and then share it with the team where I think it is relevant and where I think it could explain something I am thinking better than I could. I read a lot and try to read a diverse range of materials, last Monday alone I bought 20 books. I have a list of books that I add to whenever I hear people recommend something, once the list gets to about 15 or 20 books I will buy them all at once. 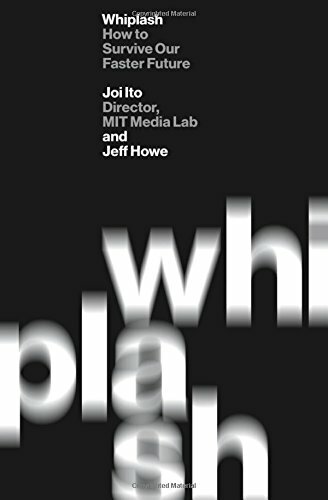 I have just finished reading an amazing book called Whiplash by the director of the MIT Media Lab in the US. It sets out in a rational and logical way the future of business and the paradigm shifts that we are going through, which aligns well with my own views. I can be contacted through our websites workclubglobal.com and florenceguild.com, get in contact with us and come in for one of our talks to see what it is all about. If it is the furniture side of things that people want to discuss, which I can talk about for days, I can be contacted through ollogroup.com.